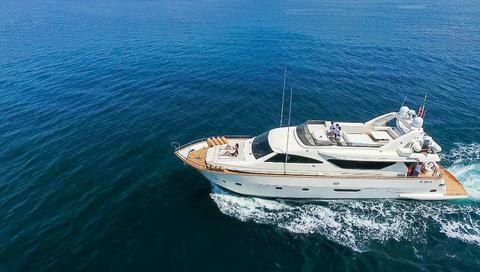 Launched in August 2009 this 78 Alalunga has interior design completely revolutionized by the young designer Alessandro Vescia. The interiors are lacquered in ivory with a pearlescent gleam giving them a cool, bright feel. 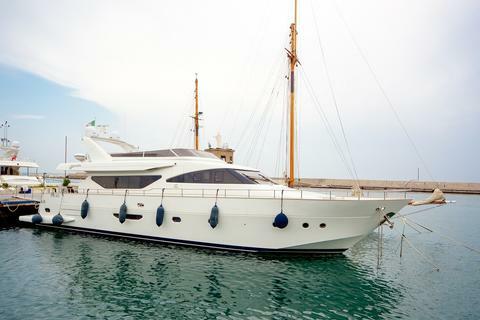 Yacht 78 ft Available for charter in southern Italy from Rome to Sicily, Naples, Ischia and Other ports on request. With 4 cabins, two with double beds and 2 with twin beds for up to 8 people during the night and 12 day cruise. an elegant Alalunga 78 available for charter; launched in 2007, she offers accomodation to 8 guests in 4 comfortable suites; crew of 3 members in separate quarter. Do you offer boats for hire (not only Alalunga 78) by yourself? Sign up and add your Alalunga 78 or other yachts for rent in our yacht charter data base.